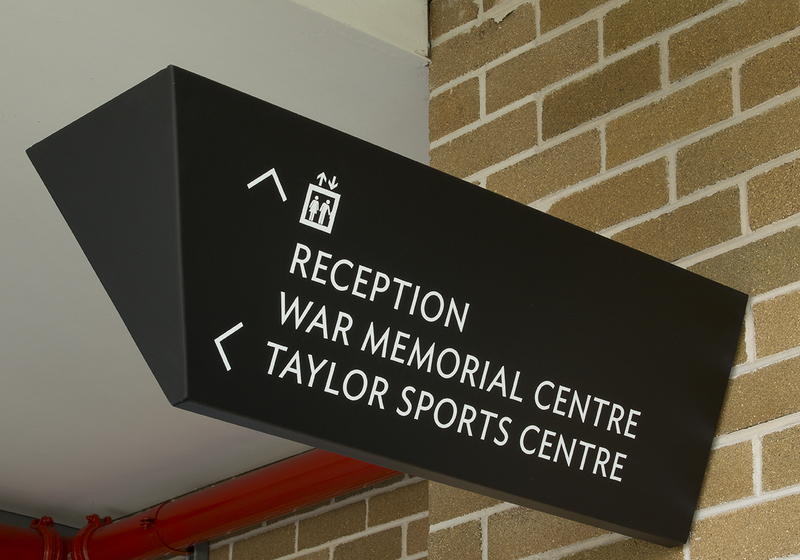 Interpretive wayfinding for Newington College in Sydney, was implemented as part of its Sesquicentenary celebration. 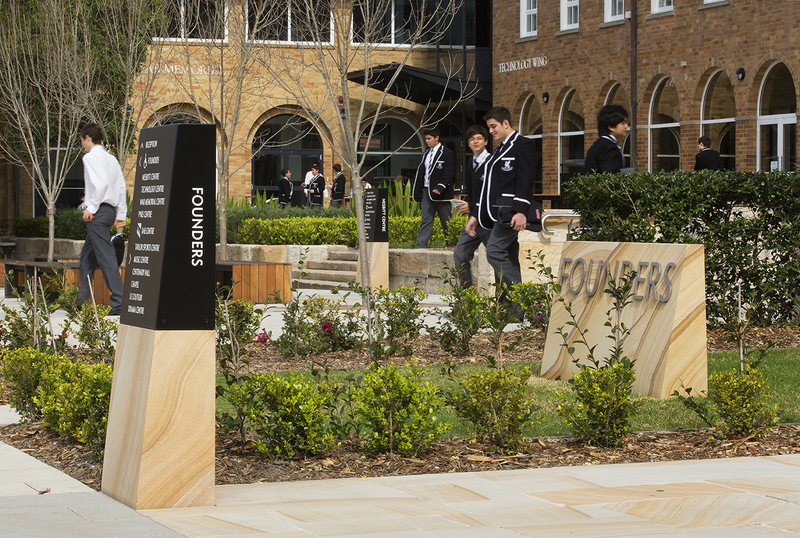 the schools vast, complex and expanding campus. 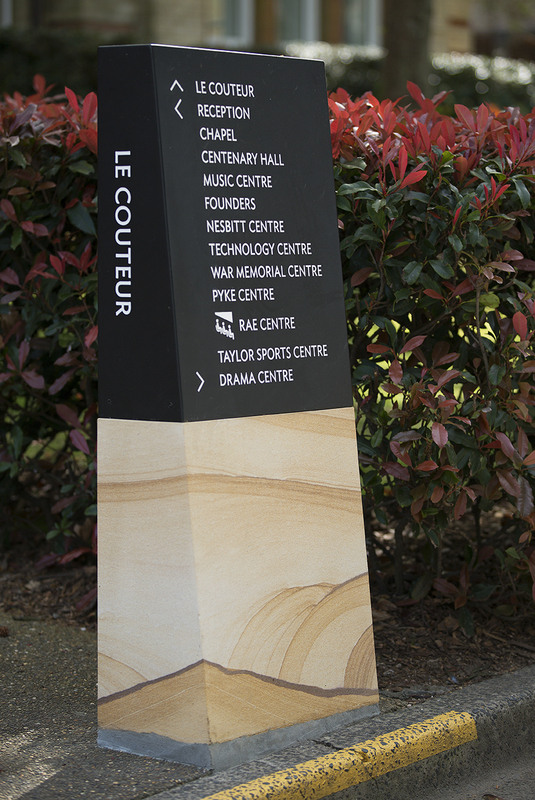 In the philosophical framework of the school, ‘wayfinding’ may be seen as having as much about finding direction in life, as in space, so the design incorporates high-quality, materially authentic finishes which form a sensitive visual link between the ‘sandstone’ traditions of the College’s past and the contemporary architecture of architects Budden, Nangle, Michael + Hudson. 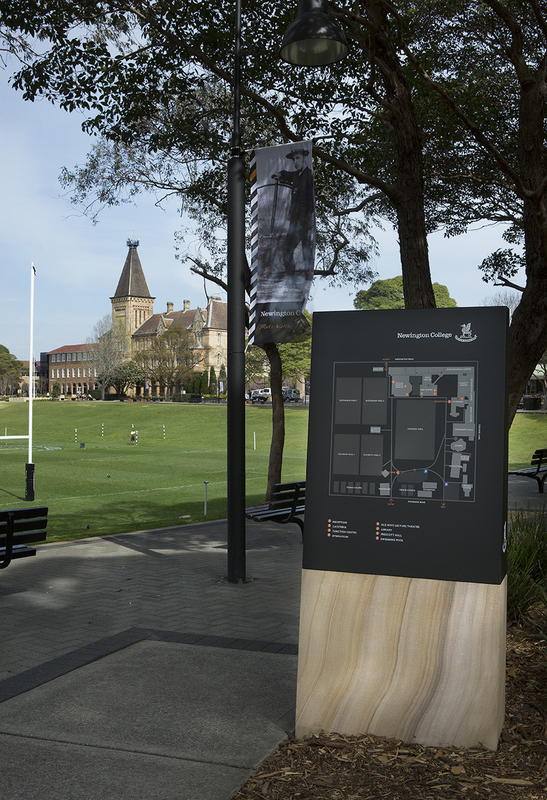 The distinctive design provides unifying interpretive structures throughout the campus, reducing the distraction of the College’s disparate architectural styles, ensuring that all visitors are confident of their location, and the quickest way to the sporting event, lecture theatre, concert or assembly that they seek.